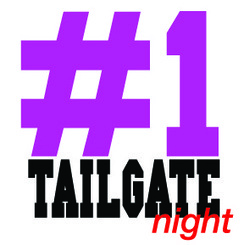 Break out your jerseys and the grill and have some good ol' fashioned sports mania. 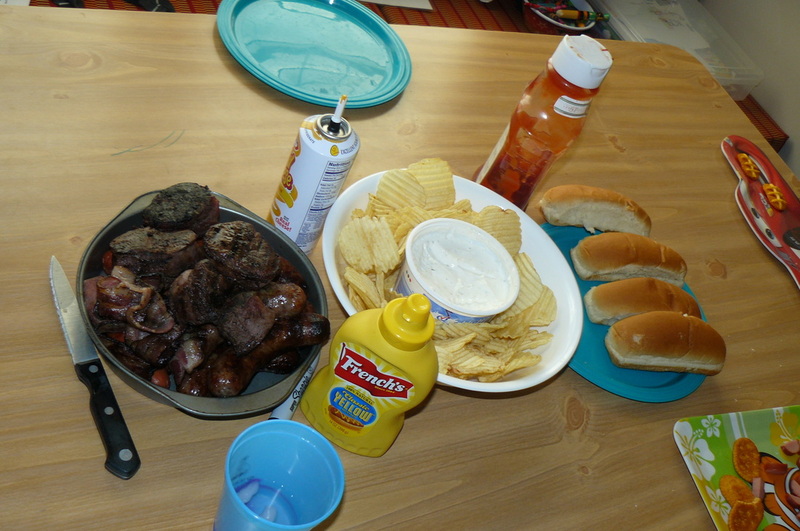 Tailgates are known for chips, dip, pop and anything grilled. 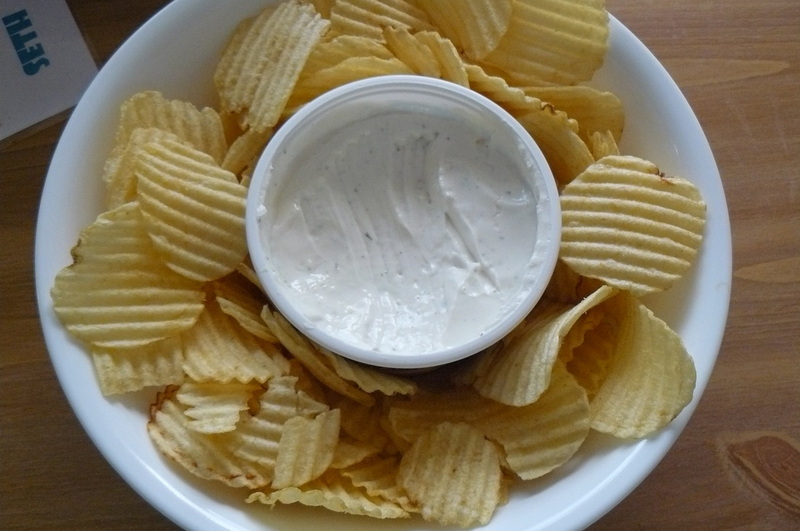 If it gets your fingers messy, come in a bag, jar or can, it probably makes for a great dinner tonight. 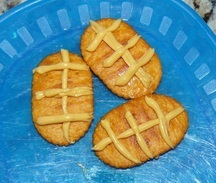 Use oval crackers and some squeezy cheese to make football themed snacks. Nothing is more comfy than curling up with your very own stadium blanket. 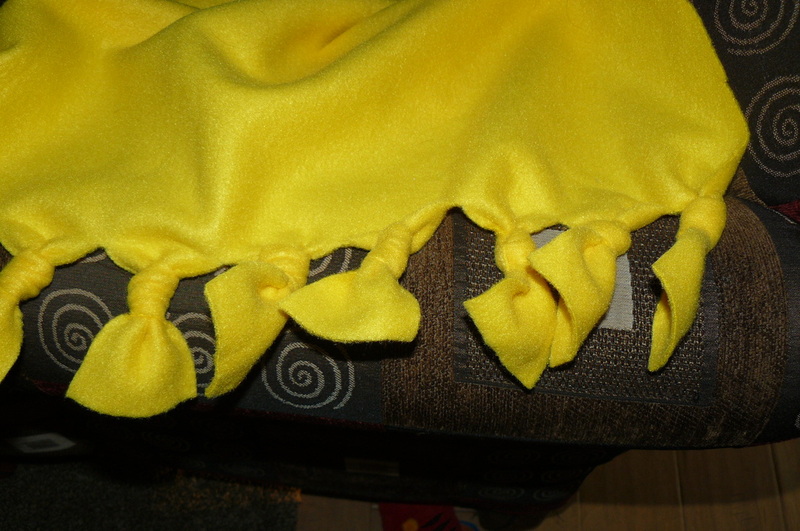 Make it easy for kids with 1 1/2 yds of their favorite fleece. 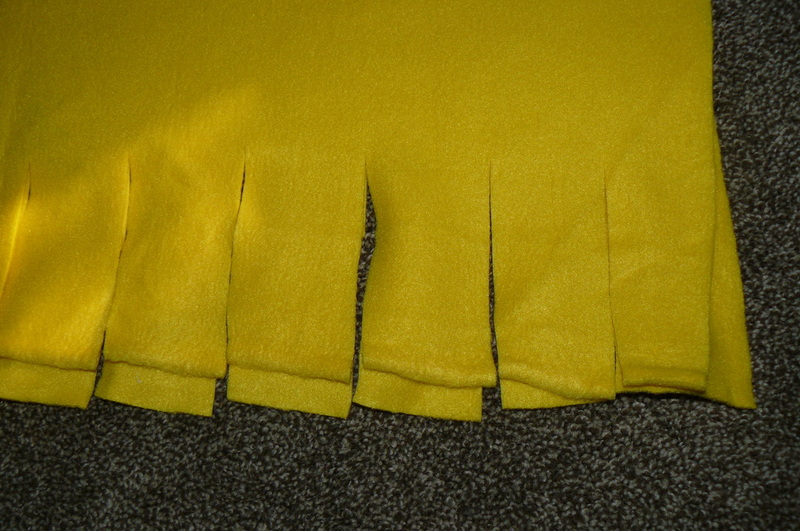 Cut 3-4 inch slits along 2 sides and let them tie in individual knots. Ta Da! 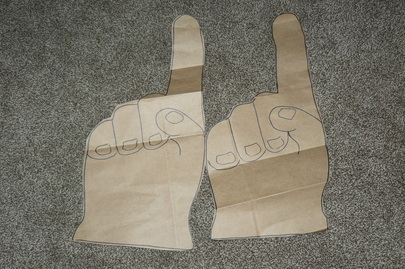 Fan Fingers cutouts can be made with a paper bag and some imagination. 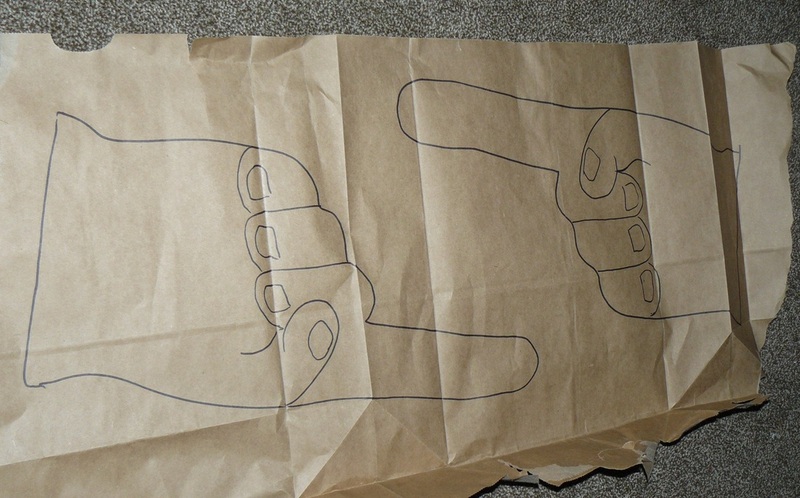 Draw a hand shape on a paper bag with a marker, then let your kids decorate it however they want. Wouldn't it be great to be selected to do the throw for a couple thousand dollars? Since most of us don't have that kind of cash, we did a toss for dessert. 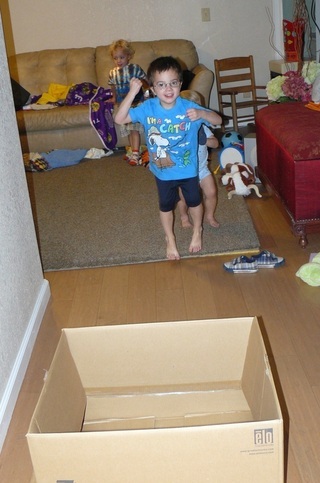 Use a football (any kind) and move a box to different locations and see if you can make it. This can be done outside or inside and in any location...down a hall, off a balcony, over a kitchen counter. 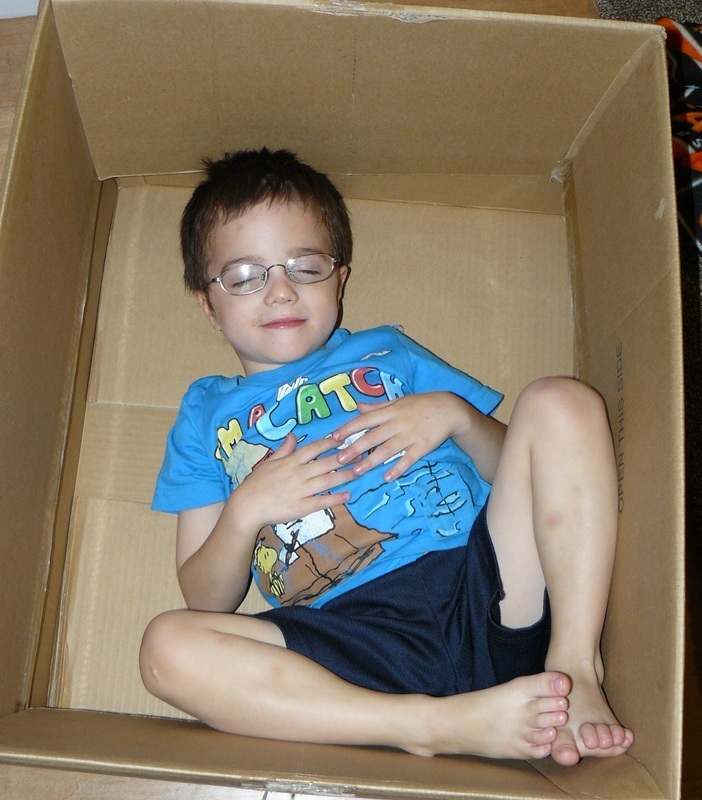 Optional: when you're done, take a nap in the box.